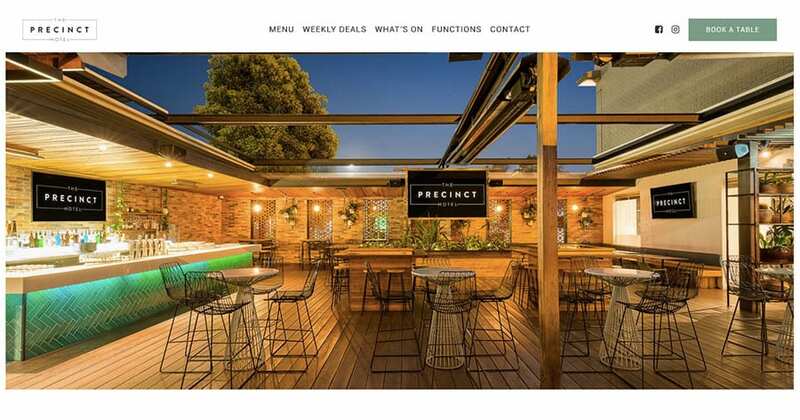 Project - Precinct Hotel - rooftop digital. 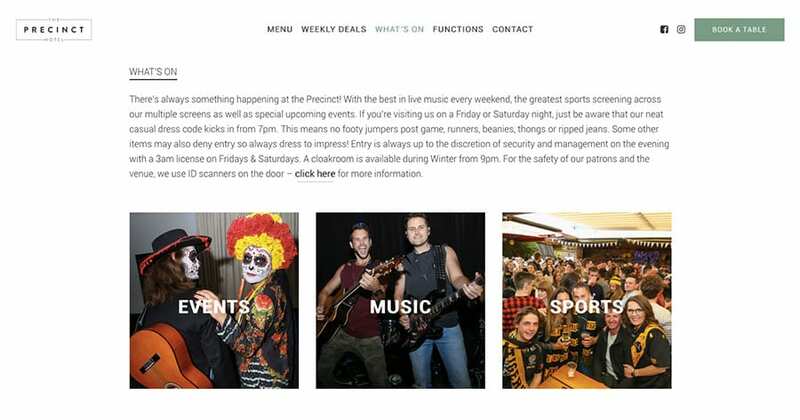 Located amongst the hustle and bustle of Swan Street, opposite Richmond railway station and only moments away from sporting and entertainment arenas, The Precinct celebrates the best of Melbourne; from watching all the sporting action to enjoying live music every weekend and from experiencing incredible pub meals to hosting spectacular functions and events. 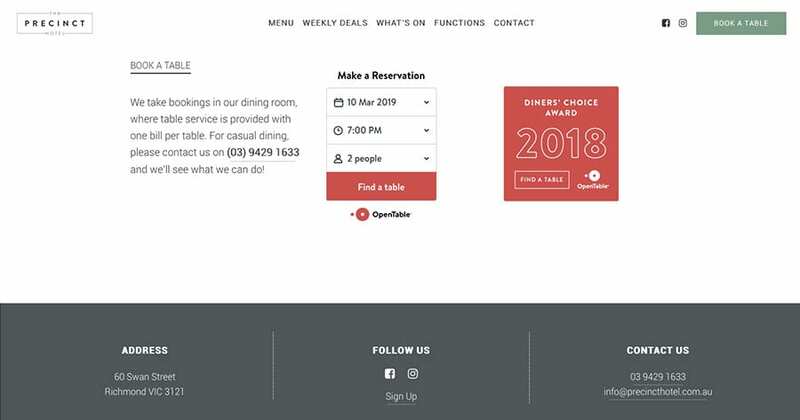 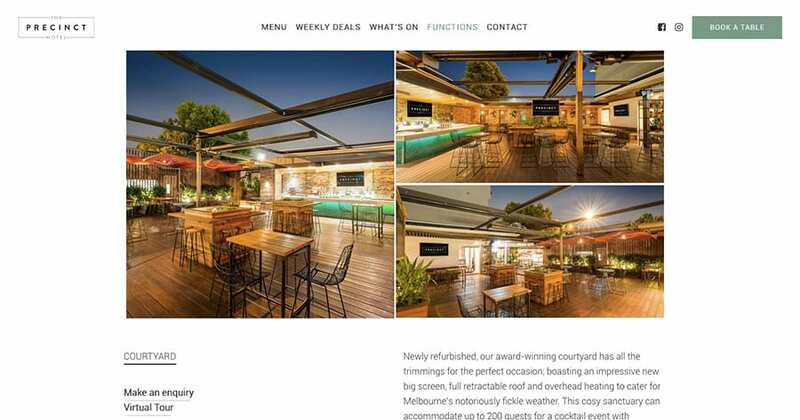 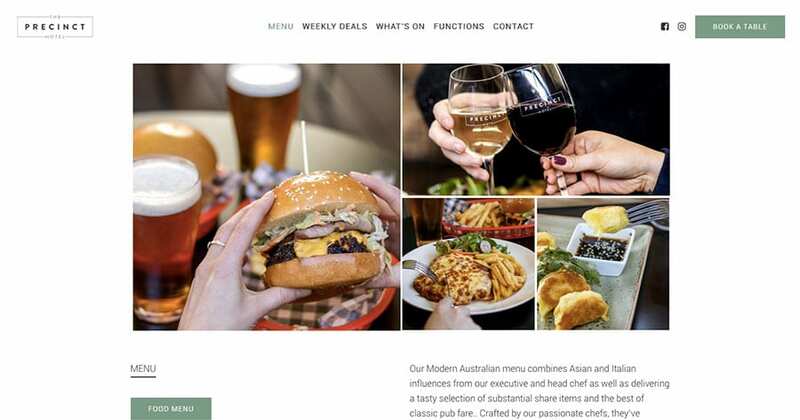 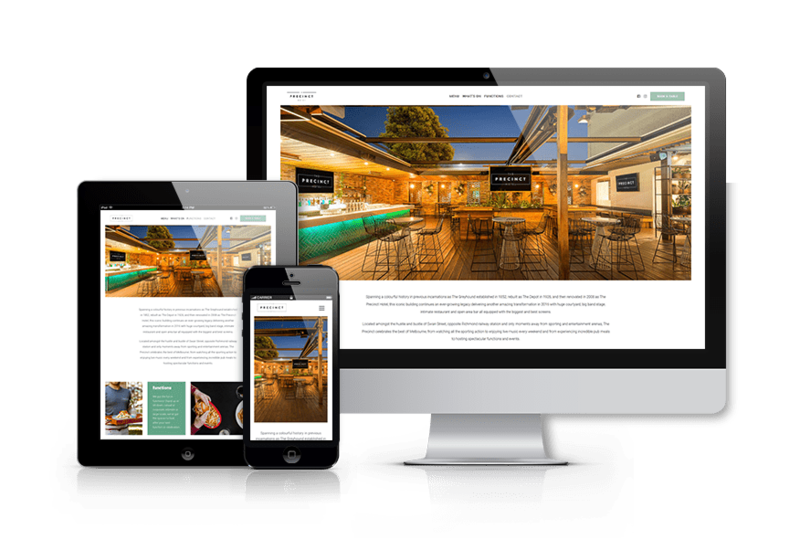 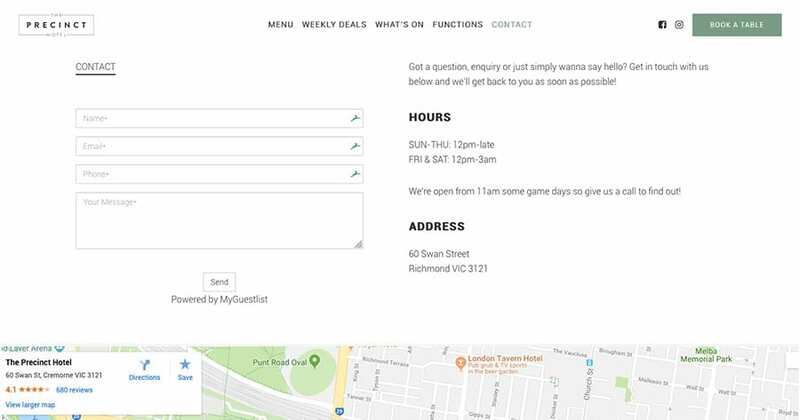 The Precinct Hotel engaged us to review and rebuild their existing website. 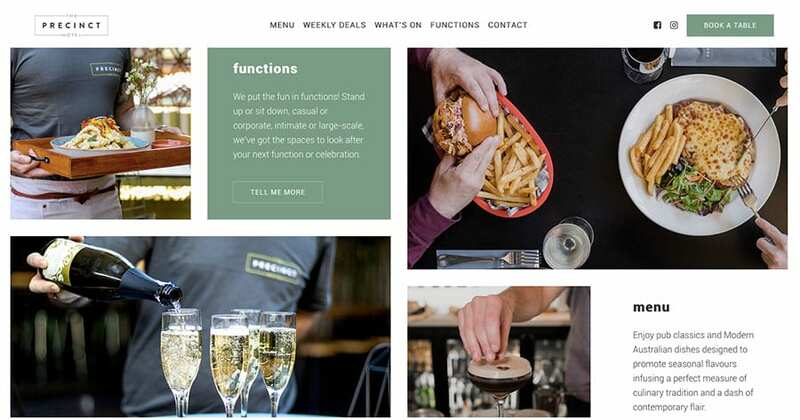 We were able to de-clutter and re-focus their website so that it presents key messages clearly to their target audience. 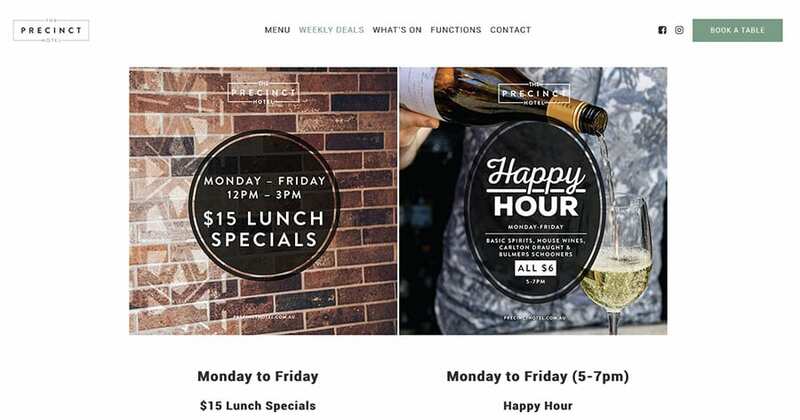 We also assisted The Precinct in graphic design work, social media management and Facebook advertising.